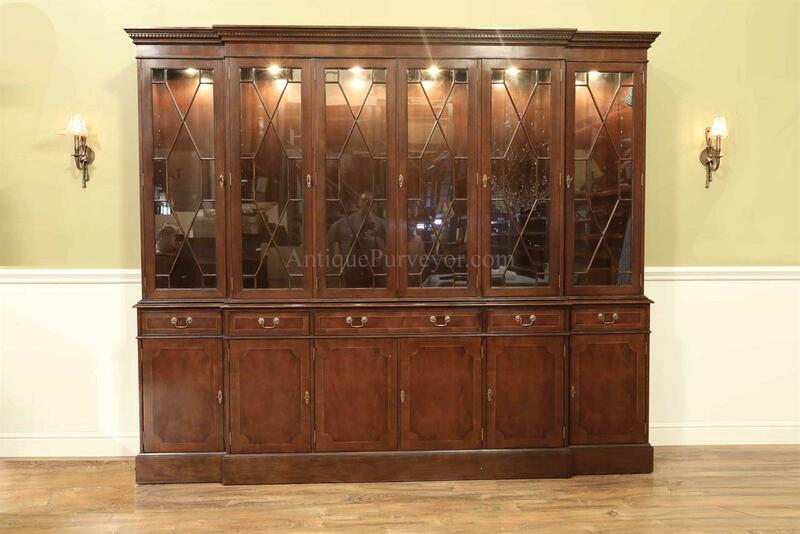 Large China Cabinet, Hutch or Breakfront. 9 Feet Long ! 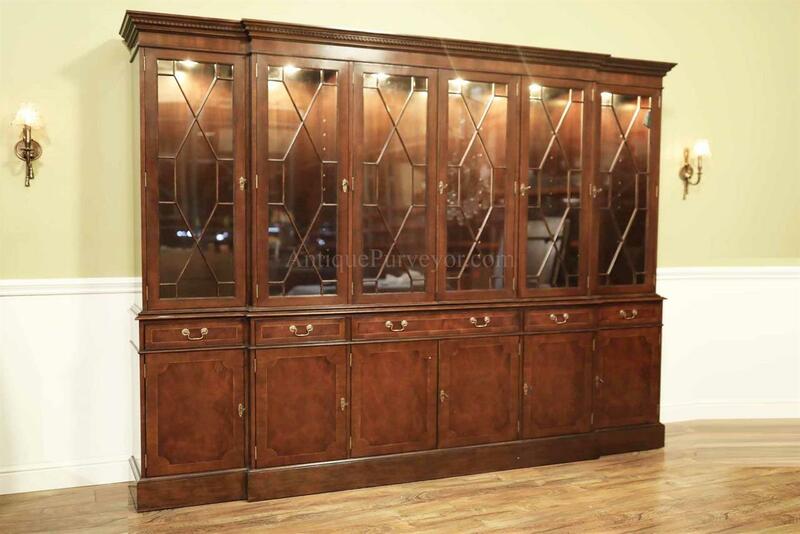 Description: High end 6 door china cabinet from Philippine builder. 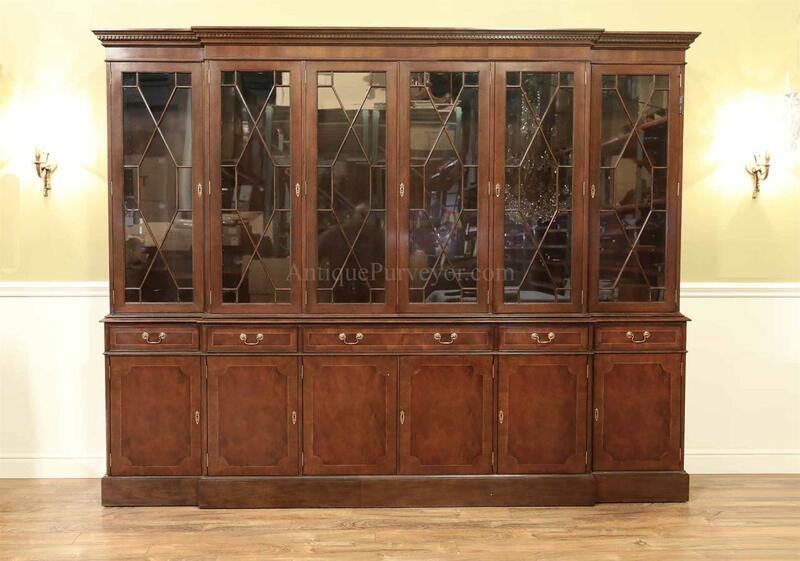 A very significant china cabinet with super price point and quality construction. Drawers are oak and dovetailed. 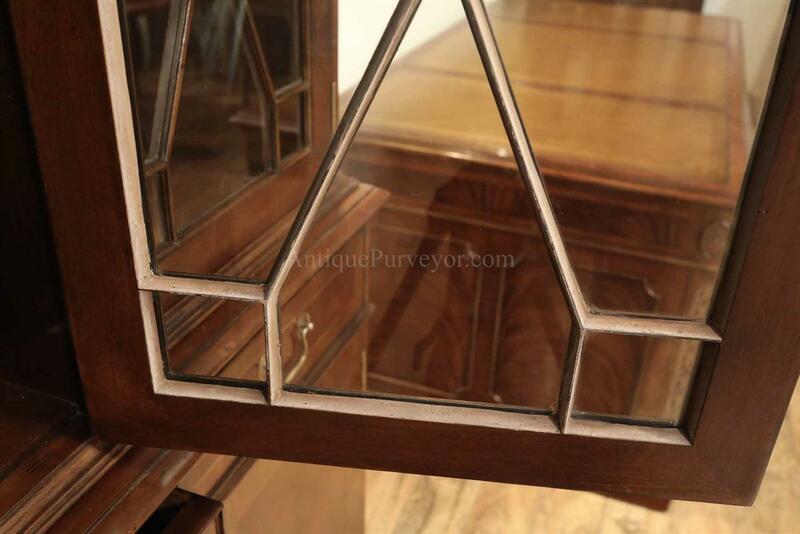 Traditional brown mahogany finished to work well with any traditional decor. 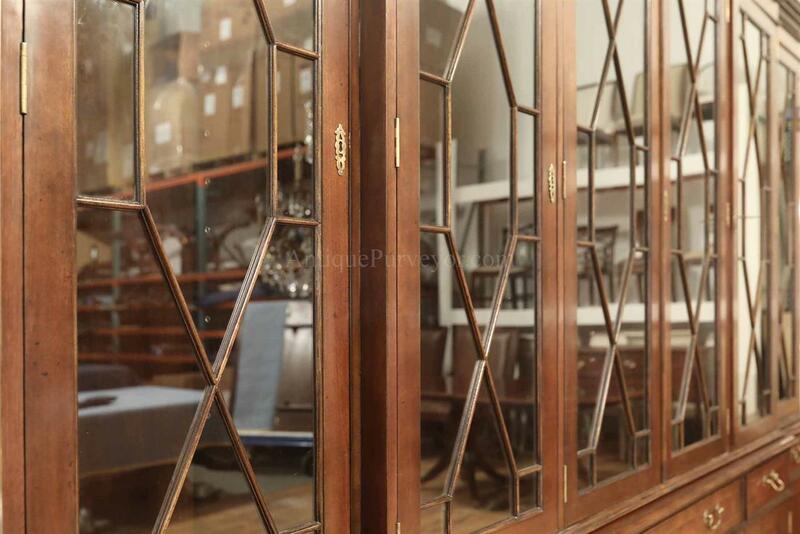 Mahogany banded doors and drawers. Dollar for dollar, this cabinet cannot be beat. It is brand new and although this cabinet is slightly more money than china's from other regions, it is the best quality you can get in new furniture. 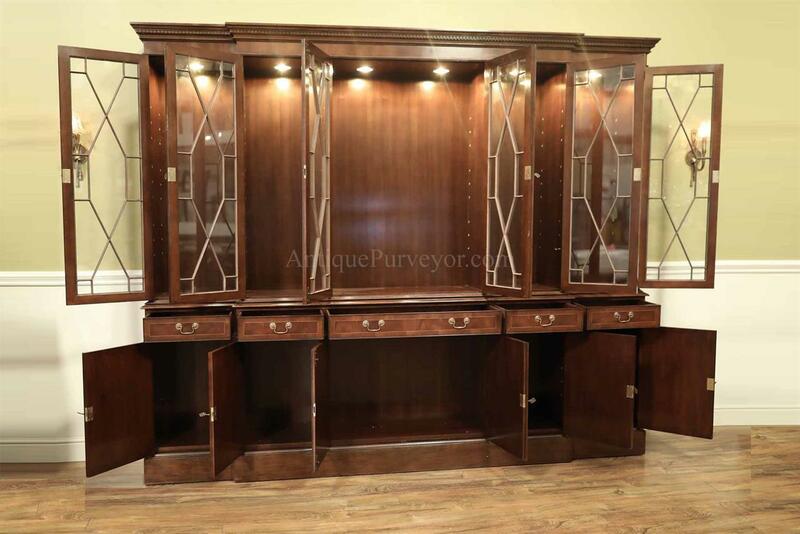 Any popular brand furniture name would sell this cabinet for two to three times the price in a showroom. At our cost effective warehouse, this is hard to beat. 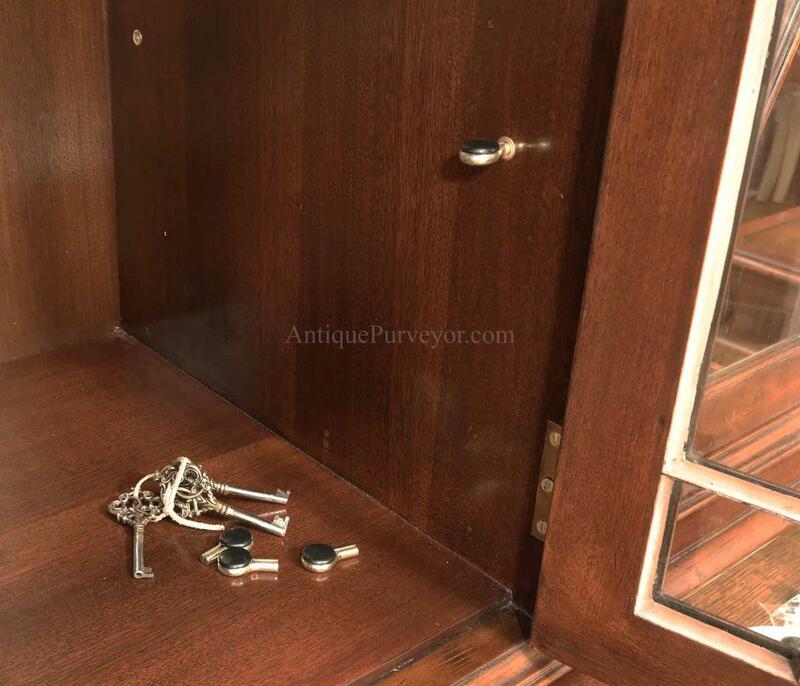 Solid brass shelf hardware pegs and glass shelves for top of cabinet. You get three glass shelves for each window and each shelf has three positions. Shelves are not shown in this picture. Cabinet also has lighting installed by factory with a touch sensitive light switch which is connected to the top right hinge. Lights have 4 positions. off, dim, low and high light. Please note that in the pictures, the bottom right corner of the china cabinet has a shim under the toe kick. This is because we have a low spot in our studio. Cabinet is perfectly level and this is not a part of china build. Also, I might add that this builder used high end key latches which are fitted into the glass doors and bottom doors. 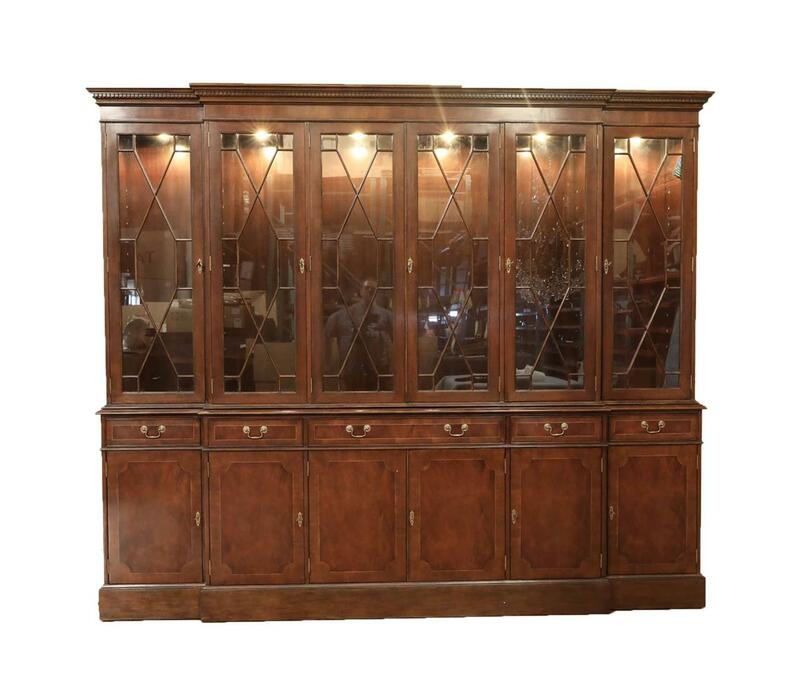 The quality of this cabinet is unmatched in todays market place and we are proud to offer this cabinet in a such a large model.